On Wednesday, Indonesian search teams found the tail of downed AirAsia Flight 8501 about 20 miles from its last known location in the Java Sea. This discovery could lead teams to the plane's black box, which is housed in the tail, and would provide crucial information about the plane's crash. Search leaders have made finding the tail a priority. The tail section of flight QZ8501 was located through sonar detection early Wednesday. Divers were sent down to take photos of the wreckage, which still has AirAsia's logo on it. As noted in a tweet by AirAsia CEO Tony Fernandes, if it is the correct part of the tail, then the black box should be in there. Still, that's assuming that there are no outside factors that could have knocked it loose. According to Reuters, the box is located to the right of the tail behind a door, so if the back of the plane separated from the actual tail piece, then the box could still be missing. Searchers have already begun to focus on the area surrounding the tail piece. If the box came loose, it could create many problems for discovery teams. The tail was located in a secondary search site 20 miles from the initial target area buried in mud. This reaffirms theories that the remains of the plane have been pushed around by strong currents in the Java Sea. The 30 ships and searchers working by plane have been thwarted multiple times by bad weather. Although the Java Sea is relatively shallow, the search aligns with monsoon rain and winds that make the waters murky and dangerous for exploration. These conditions are particularly dangerous for divers, whose limited visibility could get them trapped or hurt. 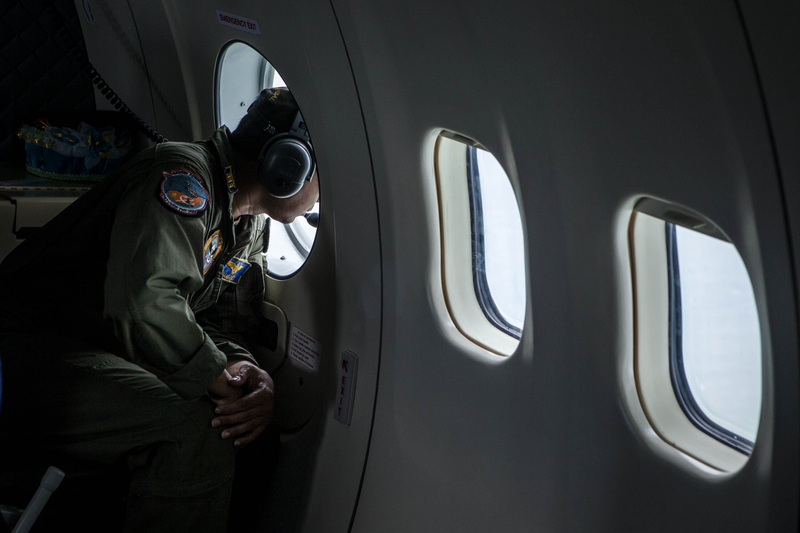 Plane debris and forty bodies have been recovered from the water off of the coast of Borneo. Searchers expect that many of the bodies of the 162 people killed in the crash are still in the main cabin of the plane. Fernandes said that finding the victims is still a priority to ease family members' pain. AirAsia has also said that families will be compensated $100,000 for their loss, in accordance with Indonesian law. Officials have already expanded their search to include the area where the tail was located. There have already been five big pieces of the plane detected by sonar, although they have not had visual confirmation.